Printify doesn't have product templates available for download. The Printify Mockup generator automatically adjusts your images to account for size and scaling so that you don't have to worry about that. When opening up each product in the product generator, you will see the recommended image size for that product. 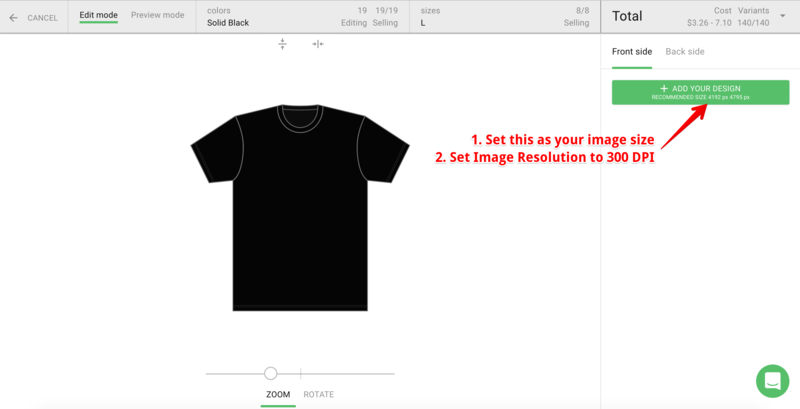 Set your image size according to those dimensions. 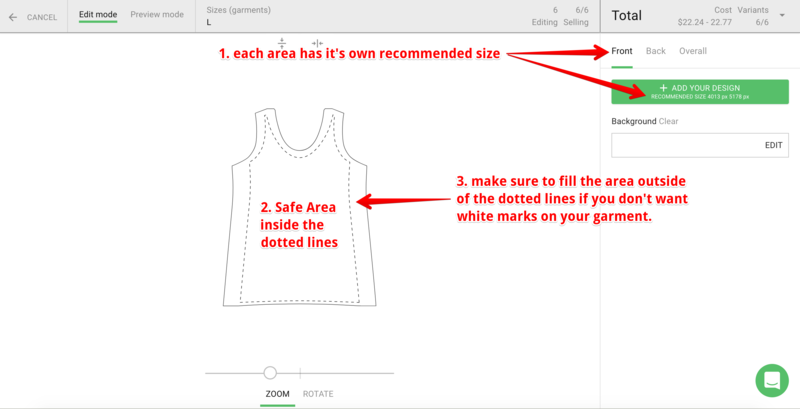 For "All Over Print" (AOP) and Cut and Sew Products, you will see a dotted line outlining the safe area and the bleed for each product. Keep all critical design elements within the safe area. Move text away from the dotted line. Ensure that you are uploading the proper image size for each print area. If you want to avoid white areas in your design, ensure you fill the areas outside of the dotted line as well.